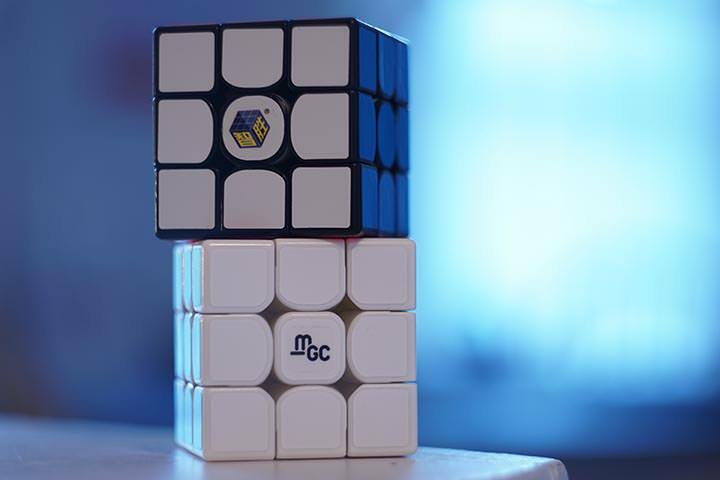 GAN cubes have a long lineage: the GAN 357, a cube from 2014, already established the basic idea for the mechanism that GAN would use for all of its future cubes. Every cube after that could almost be considered just a further refinement, a new iteration of that same mechanism. 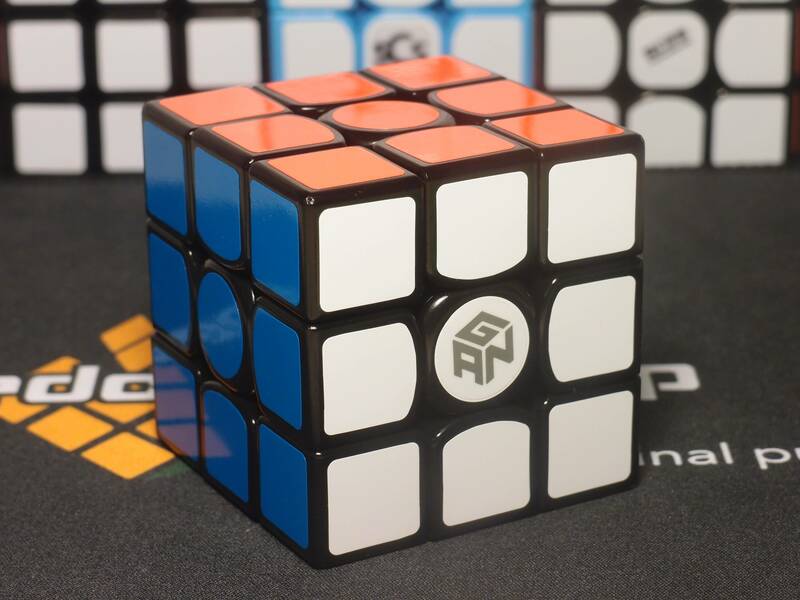 In that way, GAN has had a lot of time to optimize and perfect that mechanism, and as a result, that mechanism with its roots in 2014 remains a top contender in the world of 2017 speedcubes. The GAN Air S and SM are the latest in this line, and are a further development to 2016's already excellent GAN Air design. 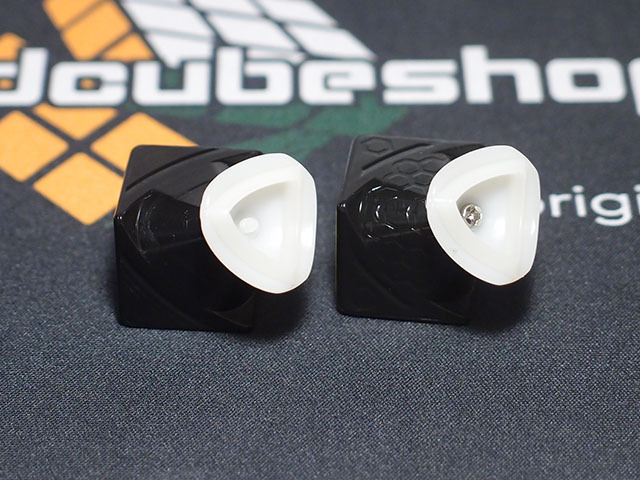 This time, it seems the focus is on the feel of the cube rather than the performance: after all, the Air and its derivatives already had pretty close to perfect performance. As is the current trend, the S and SM now represent the normal and magnetic versions, respectively, and should be roughly identical outside of the magnetization. Hence, the reason I'm doing one review. The Air U is one of my all time favorite cubes, and on paper, at least, the Air S should be more enjoyable in every way. I'm excited for this one. Let's dive in. GAN has made some alterations to their standard accessories included in the box, but we still get the same variety of options included. This time, the box is still a clear plastic affair, but it's simplified, smaller, hinged, and has a paper sleeve as opposed to the rather fiddly two halves the old GAN box separated into. This also means there is no longer the option to collect 8 boxes and turn them into a 2x2, if that's something you were looking at trying. The GES box is marked with "Gan Elasticity System v2". There doesn't appear to be much changed that would be worth marking it v2, besides the fact that "GAN" is molded into each nut in tiny letters. I guess it's something? Should have taken a closer look to begin with. The GES v2 nuts compress farther than their v1 counterparts, which theoretically should lead to easier corner cutting. The tensioning tool used to install GES now comes in the center of the GES box, and fits pretty neatly to divide the GES into three groups of seven. I didn't get an instruction manual, but that may be different for other orders. I don't have much thought on it either way, and I doubt most people who buy these specific cubes will. Overall, I'd call this an improvement to the old packaging contents. It's maybe not as self-contained, but it's definitely neater and simpler and less fiddly. 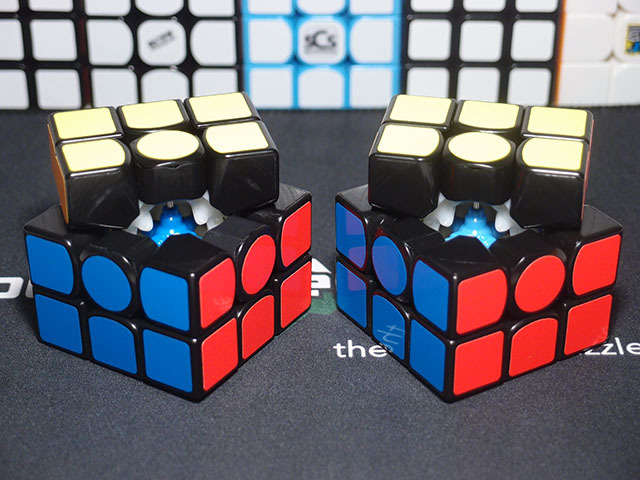 Both the Air S and SM are very light cubes, measuring in at 69 and 77 grams, respectively. They both have the GAN's signature polished, rounded look and feel nearly flawless to hold. No creaks, no rattling, just pieces fitting very nicely against each other. As indicated by the name, the cubes both measure 56mm across, as with most other modern cubes. 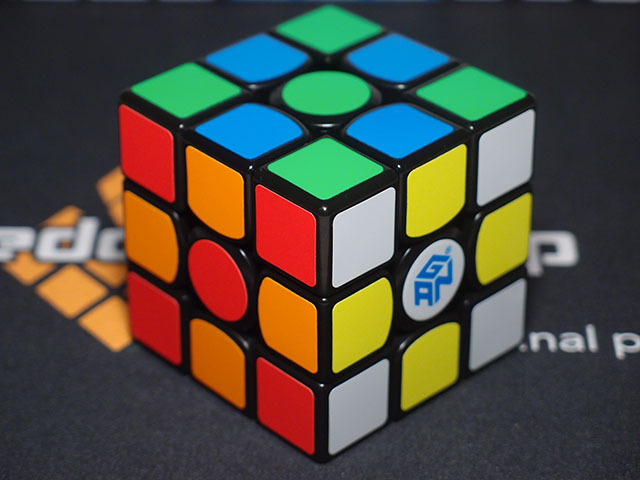 The stickers are GAN's version of full-bright and are made of Oracal vinyl, which is now becoming an industry standard for new cubes. It's still pretty much an Air, and feels pretty similar to the Air U/UM. What did you expect? The Air U got me enamored with green nuts. I put green nuts in the S, tightening to GAN's suggested flush with the top of the metal rod, and have since put about 700 solves into it. The SM came with blue nuts installed. I was quite curious about this, so I left it as is, and in fact have since put about 500 solves into it in its pure out of the box state. The simplicity (or lack thereof) of setup required is impressive, to say the least. 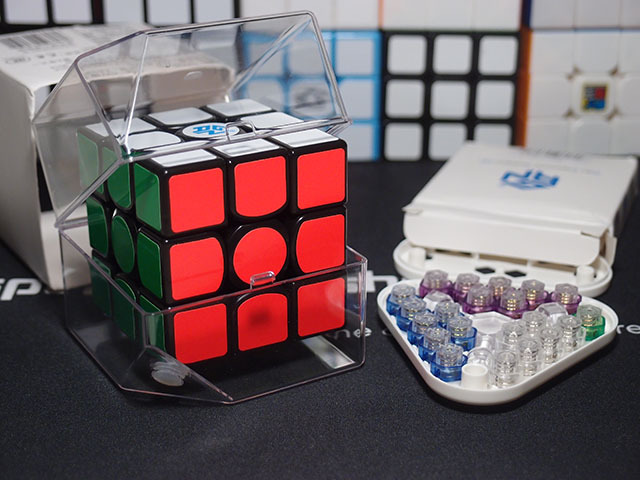 The Air U was pretty much my favorite ever cube that came straight from a manufacturer, and that was because it had a lovely feel resulting from pretty extensive hand setup from the factory. I was slightly disappointed to learn that the S and SM wouldn't quite be getting the same treatment. Luckily, that disappointment was unfounded. Even out of the box the cubes feel excellent. Gone is the excessively slick feel of the original Air - the S and SM still feel very smooth, but have a certain grippiness between the layers that feels great and aids a lot in control. This is almost exactly what I loved about the Air U. The S still turns almost weightlessly, and the SM feels far lighter than the UM (this could also be because it's set up faster out of the box, and I didn't see a need to change the lube). Even with the extra speed over the U and UM, stability doesn't suffer at all. It's still fully controllable even at high TPS. The Air family has always had a certain unique light turning feel not quite matched by anything else on the market. This latest iteration certainly brings that feel back, but it's also executed much better than the Air and even the Air U/UM despite how much more involved those were to create. As with most modern cubes, full cutting isn't an issue for the S and SM. Both do the same 54/36 degree forward/backward cutting that the U and UM do out of the box ¹, and changing the nuts on the S didn't affect that. 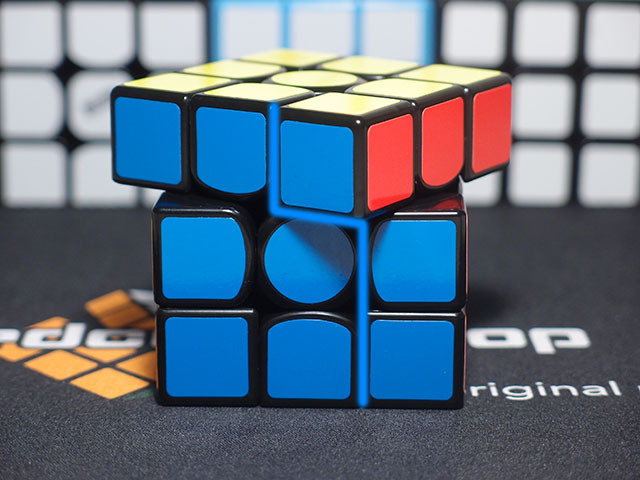 Gan claimed 55/30 on their promos, but I'm wondering why they didn't claim full corner cutting when the cube achieves it. What is a bit different is how the corner cutting feels. The Air U had very snappy and somewhat stiff corner cutting beyond 40 degrees, and the Air UM has an odd tendency to lock up on easy corner cuts if you don't jerk the cube rather hard. This time, corner cutting is far smoother and less snappy on both cubes, practically gliding into place. I'd rate both cubes with my old metric of effective corner cutting at close to 50 degrees, a very impressive number. In particular, the SM's corner cutting feels excellent despite magnetic cubes sometimes feeling odd when corner cutting. The only magnetic cube I've used with better feeling corner cutting is my Cosmic GTS2M. This section is becoming less and less necessary. I might start only including it for cubes for which these particular characteristics are problematic. As a refinement to the Air, it should come as no surprise just how similar the internals are. I'll be comparing the Air S to the Air U. Can you tell which is which? The cubes are pretty much identical in this shot, because the honeycomb patterning is barely visible here. The S (right) has a lighter blue core than the U, but that's pretty much it. The biggest difference with the edges is the inclusion of the honeycomb patterning on the center-touching side, designed (according to GAN) to help spread the lube evenly and extend its life. The smaller difference is that the metal screw from the original Air to hold the "stacked" edge is together, as opposed to the nylon threaded rod in the Air U. All other details, even minute ones down to the tiny grooves inside the edge base, are identical. Same idea with the corners: honeycomb patterning (on all three inside surfaces), metal corners are back. There is a single groove on the U running all the way across each of the three edge-touching surfaces, but that has been shortened on the S.
Oh, yeah, and the bases don't glow in the dark. What purpose was that for again? The honeycomb patterning certainly seems to be doing its job quite well. After hundreds of solves, both cubes feel pretty much like they did out of the box, and looking at the patterning there is still quite a bit of lube left in the grooves. I also imagine that the honeycomb patterning must have contributed to the softer, gripper feeling. Despite the metal screws, the Air S somehow weighs almost identical to the Air U. Did they remove even more plastic? Between the S and SM, there are also slight differences inside the edges - namely, slots that hold the magnet in place. They can be seen on GAN's concept pictures on their site. Personally, I would have preferred that the slots come with the S as well, because there's no downside to them besides an insignificant amount of weight but they should aid in magnetization should you ever decide to. Curiously, the S appears to still include the fins that guide the magnets inside the corners. These are not cheap cubes. The S retails at $31.95, and the SM is even more expensive at $49.95. Ouch. There are two ways I can look at this. One is that these cubes are successors to the Air U and UM, and are arguably better in most ways. The Air U was priced at $39.95, and the UM at $46.95, so the S is fairly significantly cheaper and the SM is just a tad more expensive. This pricing makes sense from this perspective. However, the more relevant perspective, and the one more important to the market as a whole, simply views these two cubes as the nonmagnetic and magnetic stock flagship offerings from a cube company. After all, this time around, as good as the factory setup is, it's not quite on the same level of labor as the U and UM. Even the magnets of the SM are easier to install with the new magnet slots that were not present in the UM. 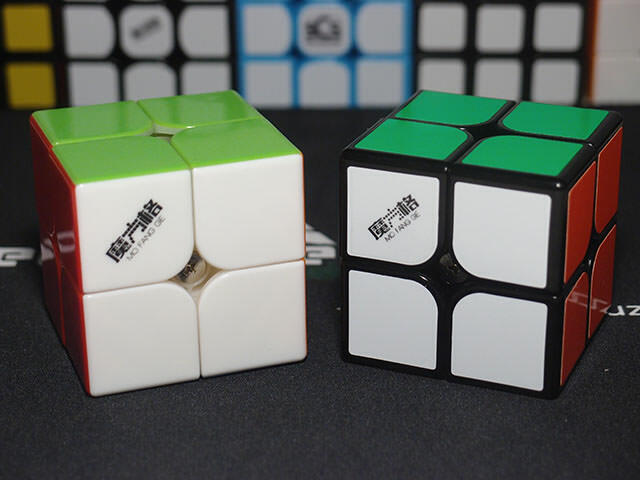 Despite the lack of costly labor, GAN has priced the Air S Master $6 more than the original Air Master whose role it should be filling, and the Air SM is now $3 more than even the Air UM, which was a premium cube that presumably cost more to make. 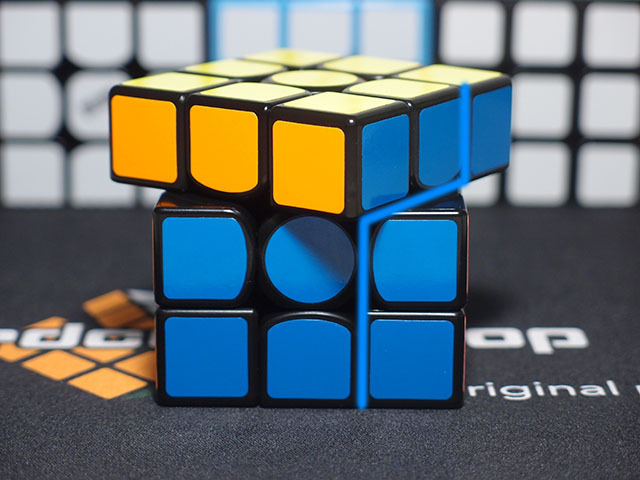 Now, GAN has garnered quite a reputation of making excellent but very high-priced cubes, and customers have more or less accepted it, so I can understand why they'd feel comfortable with this pricing. I just don't like there is now a fully stock nonmagnetic cube that costs twice as much as most flagships did two years ago - it's not a good direction for the market to be moving towards. Cube manufacturers, if any of you happen to be reading: I really appreciate what you've done with the $5 end of the market. Just please stop driving up the costs of flagships? I can't find anything to fault these cubes on. Fit and finish is perfect, stability is excellent, corner cutting has been improved from even the U and UM, and popping and corner twisting haven't been issues for GAN in a long, long time. I'm not always comfortable with giving a perfect score, but in this case I can't find a reason not to. The Air S is main worthy for me, and being spoiled with all of the top offerings on the market I have very high standards. The only cubes I like better are Cosmics. The SM I still like slightly less purely due to the fact that it's magnetic which I can't get used to, but as a magnetic cube I like it far more than I even expected. In the end, coming to a conclusion is a bit hard. 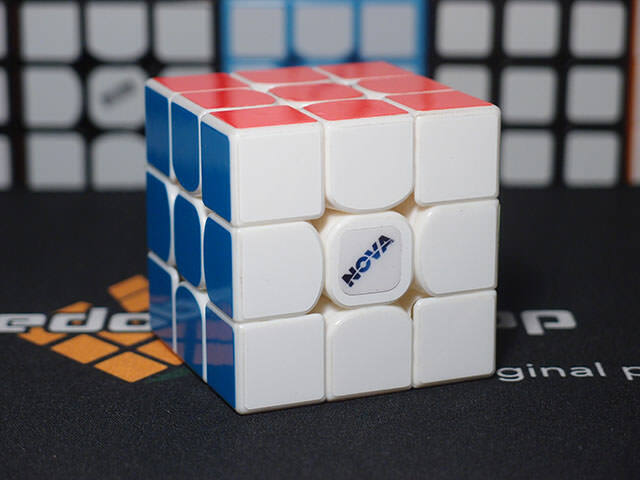 The cubes are both very costly even as flagship GAN cubes, and represent a step in the wrong direction for the speedcube industry as a whole - I wouldn't be surprised if MoYu releases a $25 or even $30 nonmagnetic flagship this year. 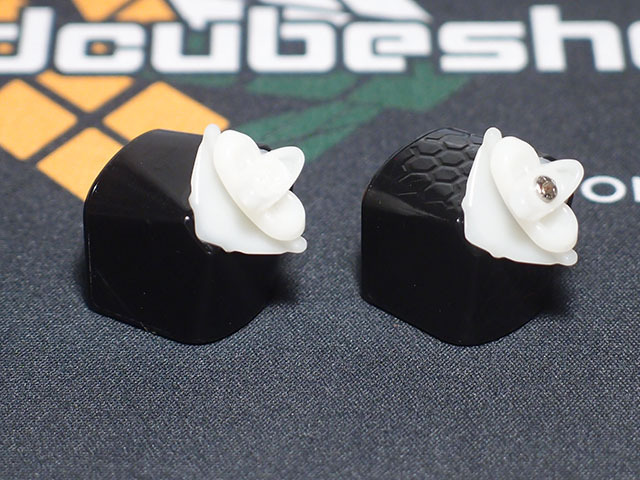 It's just a bit difficult reconciling that with the fact that these two cubes truly are the two best stock cubes I've ever had the pleasure of using, and short of Cosmic cubes are my all time favorites. Man, it feels great being back on the scene. I look forward to writing much more soon! 1. I found out recently that the method I was using for measuring the angles, visually with a transparent protractor, was inaccurate. I consistently undershot the forward cutting by 2-3 degrees, and since I took reverse cutting by subtracting forward cutting from 90 reverse cutting would also be affected. I've now taken to taking a bird's eye picture of the turned layer and measuring the angles digitally, so hopefully they will be accurate from now on. This also means that if you're reading any of my older reviews, you should probably add 2 degrees to the forward cutting angle to get an accurate number.